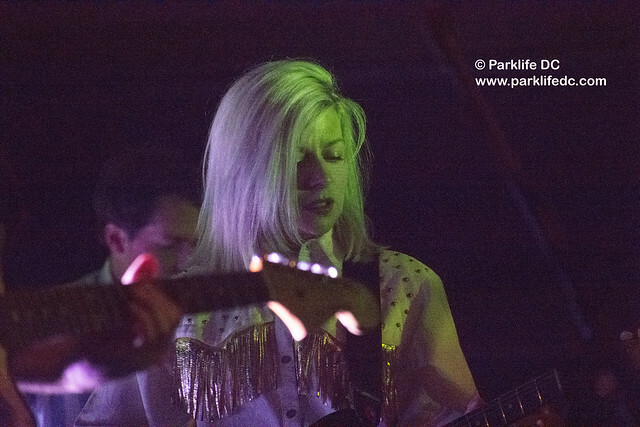 Alvvays began the show with “Hey” from their new album, Antisocialites, released last year via Polyvinyl Records. Throughout the show, they continued to pull irresistible gems from the new album — including standouts “Plimsoll Punks” early in the show and “Dreams Tonight” later. Molly sang in a focused manner with hypnotic concentration, often playing guitar all the while. Her guitar meshed well with that of guitarist Alec O’Hanley, and the whole formed a peaceful cocoon in which our ears and head could rest. The uplifting cadence of the new music signaled a slight transition from guitar-forward noise pop to delicately arranged dreampop. 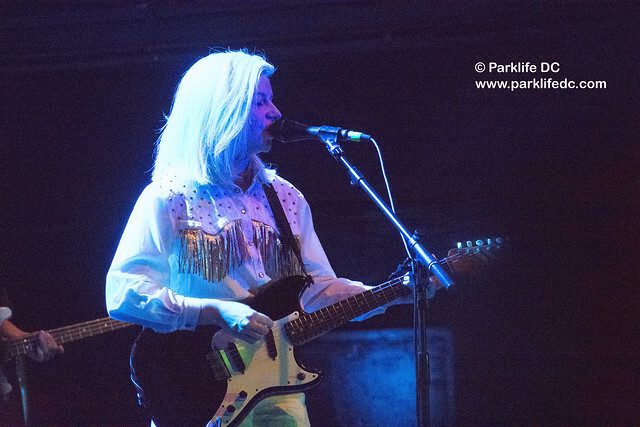 In this transition, Alvvays recalled the path of English bands such as Ride, which cut through the ‘90s with shoegaze and noise pop guitars but later chilled out into a bit of dreampop. 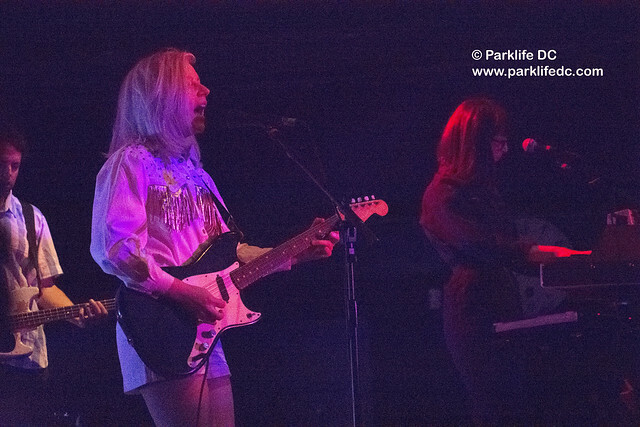 With Alvvays, the delicate arrangements of Kerri MacLella on keyboards facilitated these gentle change, and the resulting songs from Antisocialites seemed more mature and complex. 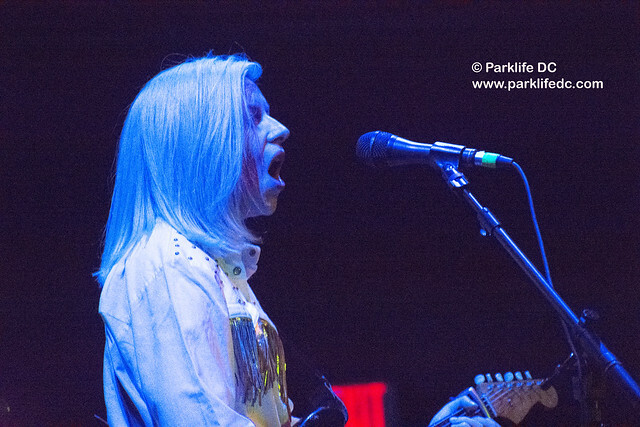 Alvvays dedicated roughly a third of their set to their self-titled debut album with fan-favorites like “Archie, Marry Me” and “Party Police,” which closed the set. Bassist Brian Murphy and drummer Sheridan Riley managed the impressive feat of adding heft to fill out the sound while still keeping it gentle and sweet. Brian seemed to have great instincts for when to switch a generally light touch into a rolling attack of drum power, and Sheridan coolly anchored the band with steady rhythms. 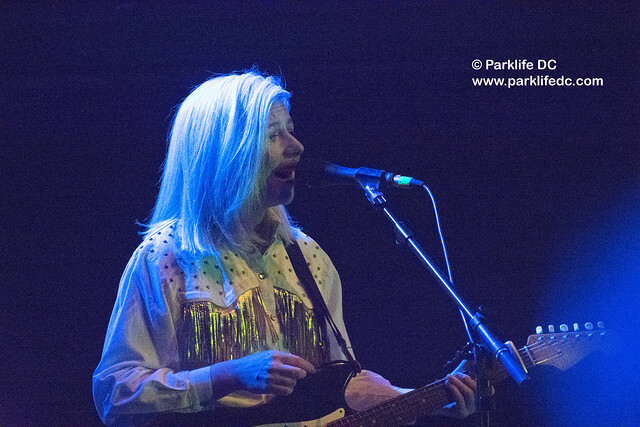 In the encore, Alvvays covered “Blue” by Elastica and added “Next of Kin” from their 2014 debut record. The Elastica covered served as an interesting study as to where the mix of instruments in Alvvays could go if the quintet willed it so. 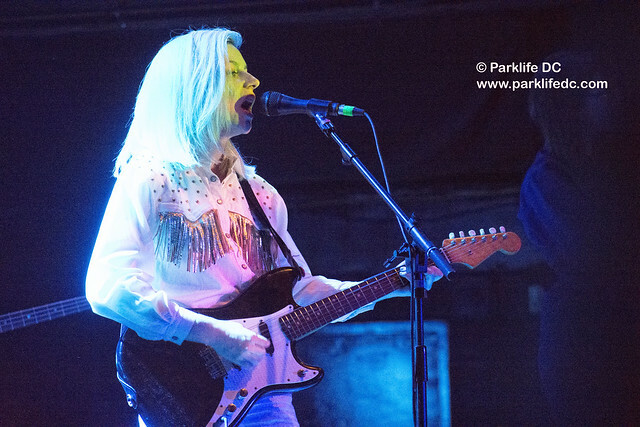 Alvvays are on break from touring now, but resume next week in their native Canada and hit the ground quite regularly throughout the rest of the year until Austin City Limits in October. Always a delightful band, Alvvays will ease your worries and lift your soul with their appealing picture-perfect indie pop. 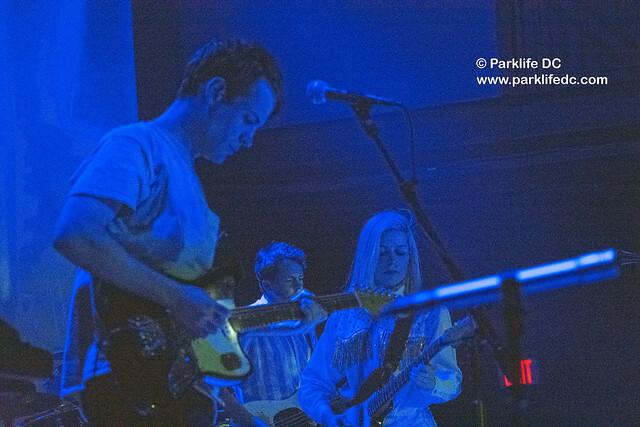 Here are a few pictures of Alvvays performing at 9:30 Club. It was not an ideal environment for pictures, as the band prohibited a photo pit, and 9:30 Club bouncers kept blocking photographers from good shots. Nevertheless, the band issued a photo pass, and we tried hard to fight for a few pictures in a very crowded room.